‘Champions are not made in playing grounds. 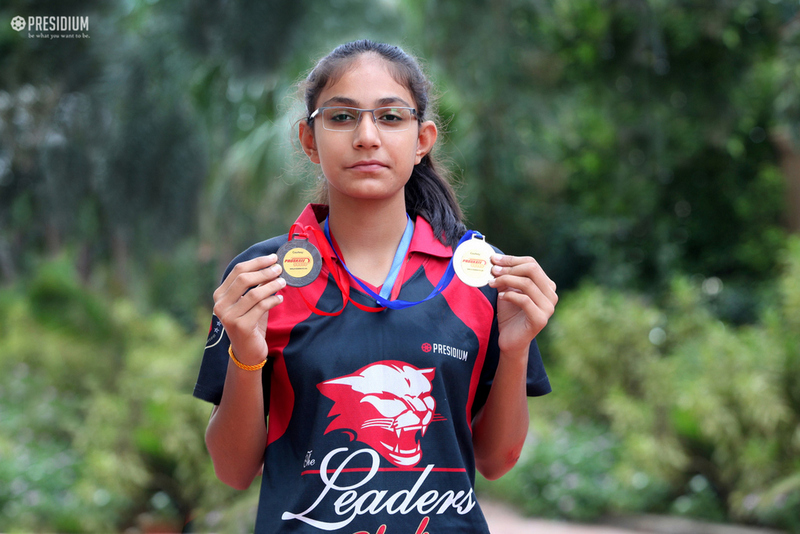 Champions are made from something they have deep inside them - a desire, a dream, a vision.’ The students of Presidium Gurgaon told the world that they are the true champions at the 3rd Independence Day Skating Championship held at village Baliawas, Gurugram. There were around 350 students participating from Delhi NCR. 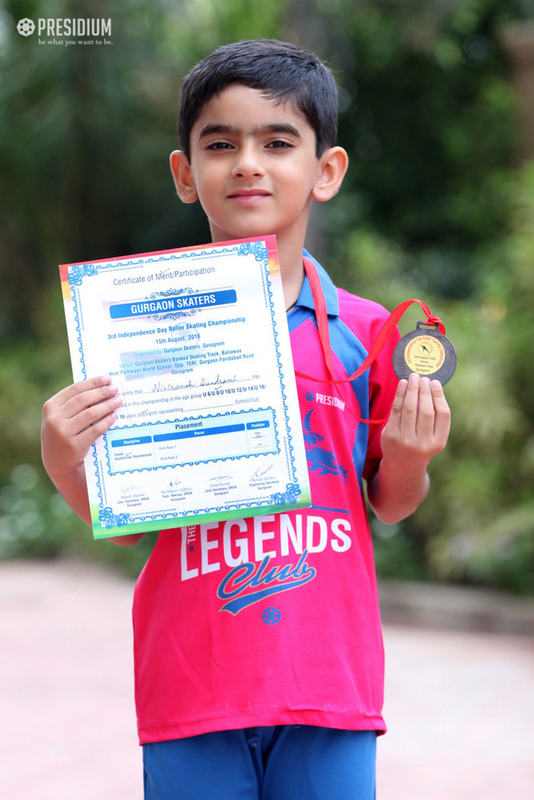 Presidium Gurgaon won 1 Silver and 4 Bronze medals at the Championship. 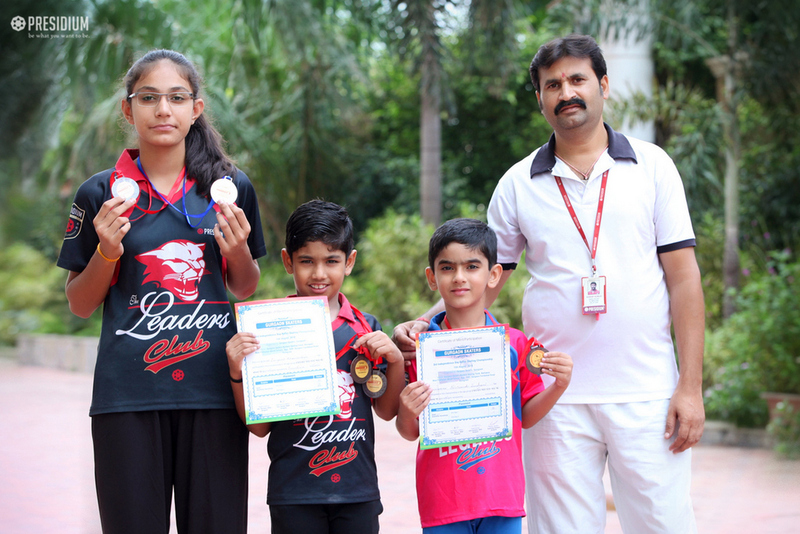 The proud winners are Anisha Yadav who won a silver and a bronze medal, Lavyansh Khandodiya who won 2 bronze medals and Nivirash Sundrani who won a bronze medal. 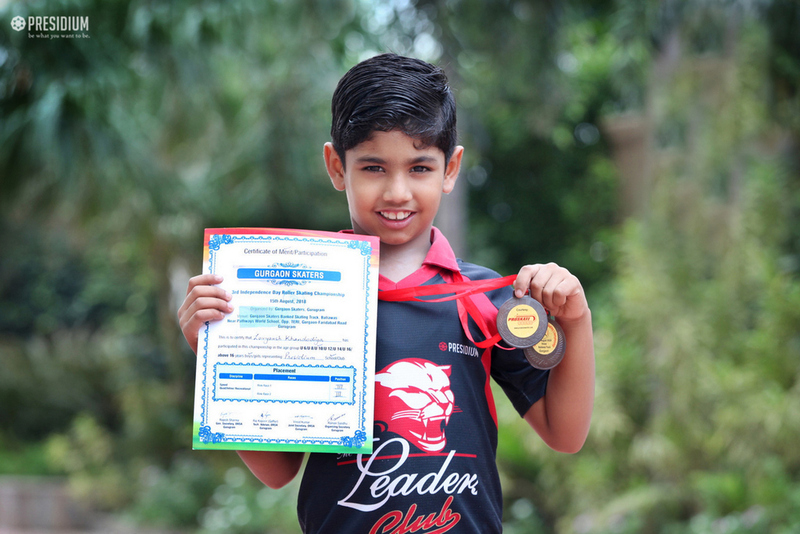 It is a matter of pride that Lavyansh Khandodiya who is eligible for the 6-8 category instead took part in the senior age group, that is 8-10 boys. Kudos to all the champions!